I’ve heard people talk about James Dean for years now and I truly never understood the hype. For one, I didn’t know what he looked like until this past summer. I went out for breakfast at a local diner and all the girls decided to hide out in the bathroom in hopes to confuse the boys. On the back of the door was a picture of none other than James Dean. And I’ll be honest, I was smitten. James was one absolutely stunningly attractive man. Anyone with eyes can see that. Then just about two weeks ago while in American History, I was flipping through my textbook and I came across this small section that give a two-page long quick synopsis of entertainment of the time period that section was about. This trimester was all about World War II up until the first election of Obama so of course, there James was looking as cool as ever above an anecdote about his life and Rebel Without a Cause. After seeing the photo, I knew I had to see the movie, but the problem of getting my hands on a copy became a problem. This past weekend, it was fate that Rebel Without a Cause was playing on TCM. I watched the movie religiously, never daring to get up for a single instant in fear that I may miss something good. And believe me, the entire movie was so good. James stars as Jim Stark, a troubled boy who has been moved around from town to town by his parents because he keeps getting into trouble wherever he goes. Opposite him is Natalie Wood as Judy , a young girl looking for love from someone, anyone. Both actors were phenomenal in their portrayal, but there was something about James that made him stand out. He was so real, so natural. It was like he wasn’t even acting; he was the character. James was a natural when it came to acting, he truly was . Everything he did was believable and entirely real. 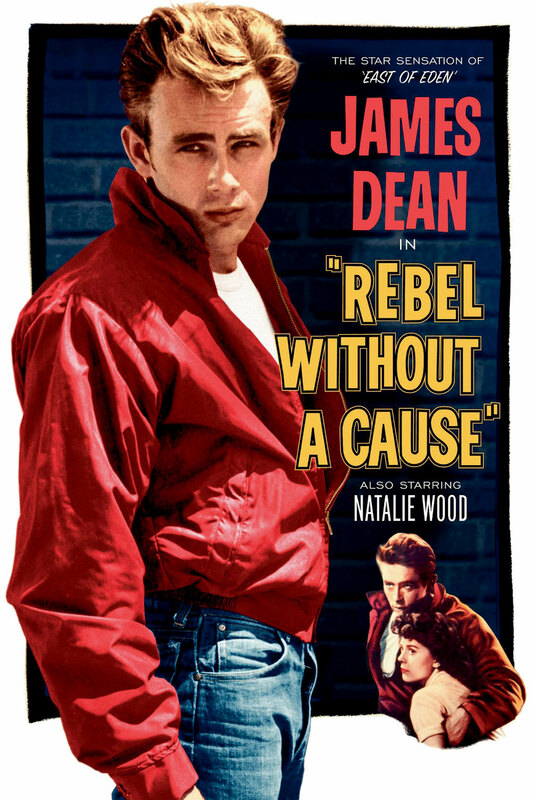 Rebel Without a Cause still lives on today and along with it, Janes Dean has been immortalized in a way. He will forever One of the greatest actors to ever live and one of the wisest minds. My mom and I both have a thing for romance movies. She like movies that have a happy ending and make you cry throughout; I like movies that are intimate, written well, and shot well. 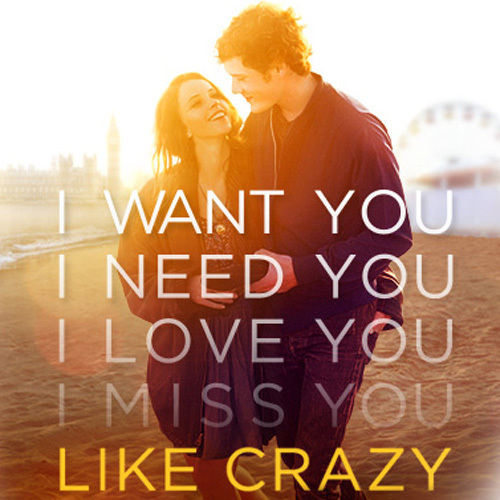 Like Crazy directed by Drake Doremus is our most recent romance flick. This movie probably pleased me more than her considering what I like. But I did get just about as angry as her most of the movie. Felicity Jones and Anton Yelchin star in this romantic drama about two teens who meet in college and fall in love. Anna is a British Student while Jacob is American. The couple continuously has to for their love for years after Anna overstayed her Visa and gets banned from entering the U.S.
Doremus did a wonderful job touching the audience with this realistic, believable script and well-casted portrayal of this story. I never once fully cried, only got teared up once or twice, but that was enough for me. I felt the emotion fully without crying. And my mother kept ruining every moment for me when she would make some comment about how Jacob was a nice guy or he was smart for doing this or that or she needs to stop and she’s ridiculous (and believe me, this phrase was said more than any other). My only problem with the entire movie was the ending. It just… wasn’t right to me. I won’t spoil it, I promise. But I will tell you that it’s not what you will expect. At least, I wasn’t expecting it. Overall, I give Like Crazy 4.5 stars. It’s sure to please the creative, artistic soul, but will leave your heart wanting more and praying that your love doesn’t play out entirely like this (for those not yet in love or falling in love), but I recommend it no matter what this movie makes a person feel. 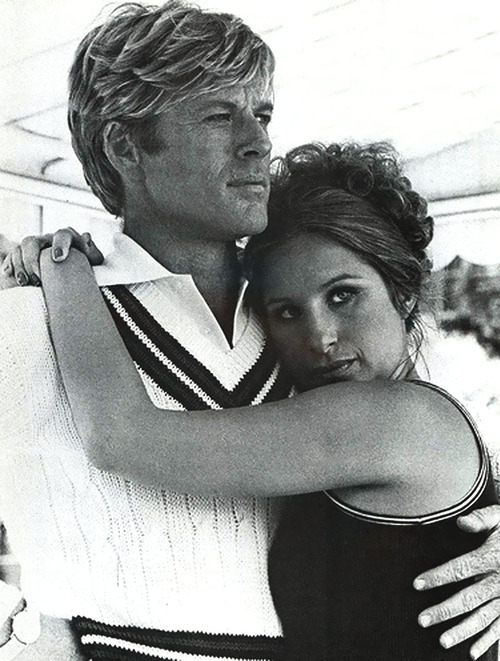 The Way We Were starring Barbra Streisand and Robert Redford never ceases to amaze me each time I watch it. It’s extremely well written (kudos to Arthur Laurents, Dalton Trumbo, Francis Ford Coppola and David Rayfiel) and you can’t go wrong when Robert Redford is the leading man. And Barbra Streisand is one of the most talented actresses of all time. And I laughed. And I kept on laughing until my sides hurt because the comment seemed so out there and ridiculous, but to be honest, I think about that when I’m considering dating someone. I still, to this day, cannot see myself dating a Republican only because I am so passionate about my views that we may end up having a relationship like the one in this wonderful movie and we, too, will grow apart because of our immense differences. This is a new segment I will be starting. 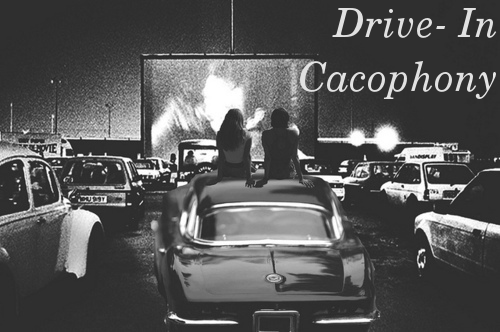 Drive-In Cacophony is based around the old movies that I adore and the movie stars in them along with all the music I can find. This segments’ name comes from my tendency to multi-task so far that at times I’m listening to two songs simultaneously for about thirty seconds while listening to a movie in my other ear and it makes a cacophony of sorts. Early Friday morning I turned on the television in the kitchen to find Turner Classic Movies on. They had a movie playing that I sadly can’t tell you the name because I never was able to find the time to look and there wasn’t a single star that I knew. And yet, I enjoyed it. I enjoyed it so very much until my Mom came down from her bedroom and told me to turn it off because she hates watching old black and white movies most of the time. She finds them creepy while I find them magnificent. I’ve always been fascinated by cinematography though I never has much desire to shoot any type of movie. It’s just not really my thing. Sitting in front of the tv with a sandwich is more my cup of tea. Later that day at around mid-afternoon, I came home from the grocery store to find my February issue of Alternative Press waiting for me on the kitchen table. Now let me tell you something about my relationship with my APs. To be real honest, I sometimes feel like I’m cheating on my blog with this magazine. Music writing has always been a passion of mine. Only two years ago I started my first website under the name The Anti-Mainstream, but sadly I was not able to update that as often I would have liked and after a year and a half of trying to start it up again, I’ve (almost) given up. Well, every time I open an AP, it inspires me to start it again which is entirely why I am starting this segment. I am so very, very passionate about music and I am so glad that I have found a way to incorporate into my blog. Being an avid reader of Alternative Press, I am always through the bands they recommend to find myself some new, worthwhile music. Even where I find a variety of bands I like, I still constantly look for more. I guess I’m just never satisfied. In the November Issue, one band caught my eye – Set It Off. That’s actually how I pick out books, movies, bands, etc.- whatever catches my eye with their name wins. So I decided to do a little bit research on this band. And dear mother of God am I glad that I did. You see, this band’s genre is something that I have never heard of: Orcheastral Pop Punk. Their sound is like nothing I’ve ever heard and it’s stunning. 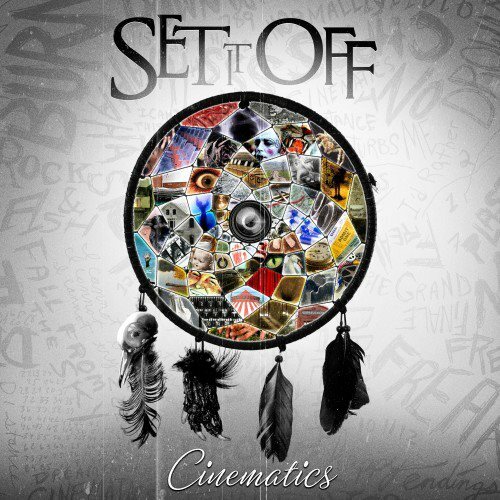 The first song I listened to on Cinematics was “Distance Disturbs Me”. The lyrical quality was off the charts (plus they’re super catchy). Mix this Cody Carson’s capturing vocals and you’ll be hooked on this band once you get to 1:00. “Dad’s Song”, the tenth song on the album, captured my attention above all. It’s so raw and heartfelt, I felt like I was getting an look into his personal life. I love when I can get a feel for the artist as a person from their music. It makes me feel a personal connection to the music and it always makes me want to come back for more. Honestly, I can’t even put into words how wonderful this band is- instrumentally and lyrically. Set It Off is definitely one of my new favourite bands.